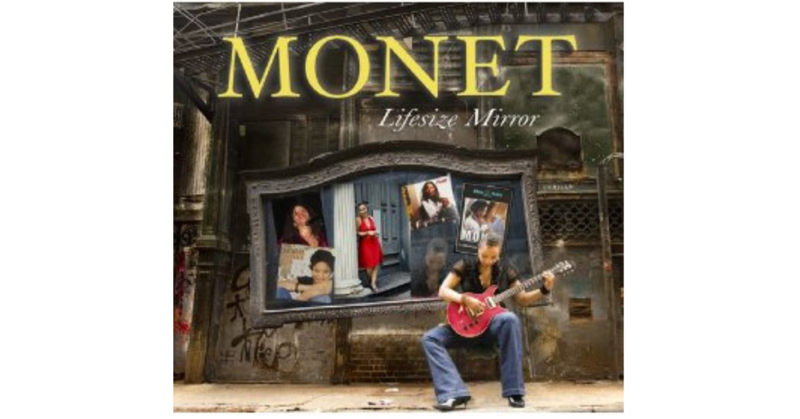 On October 11th, 2011, multitalented instrumentalist Monet will be releasing her album Lifesize Mirror on the Purpose Music Group label. Monet has been busy crossing her T’s and dotting her I’s for the longest time appearing onstage in shows around New York City at the famous Frank Lounge in Brooklyn, The Shrine in Harlem and many more spots. Finally, Monet is ready to release her baby for everyone’s aural stimulation. Equipped with her flute in hand, great production, guest appearances, and a honey-tinged voice – Monet is sure to win over fans new and old with this solid piece of work. Monet is part of a dying breed of female artist. Particularly, an R&B artist who plays an instrument and uses her vocal ability. Yet, on the other hand, we can also call Monet a jazz artist, with an R&B edge. But why put her in a box? Monet is extremely refreshing. Not to mention, she’s a flutist. Therefore, automatically making her unique in her own right, since I don’t know many female flutists doing their thing. With production by Steve Wallace, Angela Johnson and Ethan White (Tortured Soul) to name a few, it’s safe to say that Monet was in fantastic hands. “Awakenings” is a brilliant choice opening for the album. It basically covers all the moods set for the entire listen: mellow, groovy, melodious and lighthearted. “It’s Your Life” featuring Abby Dobson and Martha Redbone, easily grabs your attention with the call out chorus that you can’t help but sing yourself. All three songbirds blend through the song seamlessly, each lacing the track with their own magic. “Lifesize Mirror” has a slightly old school 80’s feel, that just might make you a bit nostalgic and take you back a la Joyce Sims. And the slick reggae track “Ever Want” injects ska and dancehall echos, making you envision yourself in a dancehall listening to this track blaring out of a pair of speakers, with the volume on ten and base on high. Monet’s Lifesize Mirror is not your typical R&B or jazz album, by any means. Go in listening with open ears and an open soul. Experience something new. Great vocals accompanied by sensational instrumentation. It really can’t get any better than that.